Whew. That was close! I thought I lost this blog. *Inhale. Exhale. * No, don't blame Blogger. It wasn't Blogger. It was me. I logged in using the wrong email address, hahaha! Wow! It's finally October. Summer is gone! We had a lot of sunshine over here in England last week and before that...and yes, it was heaven for most people. Me? I had heat rash around my neck! Eeeeekkk! But no worries, it's fading away slowly, thank God. No big news about myself today but guess what? JUICY NEWS about our pals, Theresa Milstein, Talli Roland, India Drummond and Jessica Bell! 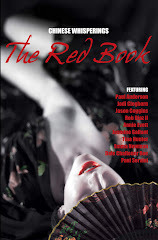 Juicy News 1: Author Theresa Milstein's short story "Allured" is included in a YA anthology, Fangtales - and it is NOW AVAILABLE on Barnes and Noble and Amazon.com. Check it out! She's got a blog tour promoting Fangtales - go visit her BLOG to find out more! Theresa is also doing a guest post right here, yes, on this blog, on the 27th October. Please don't forget the date and see us in two weeks' time. 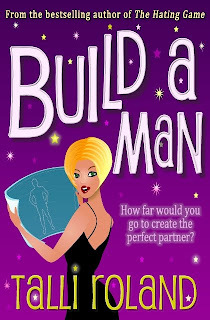 Juicy News 2: Another prolific writer and talented author, Talli Roland, is self-publishing her latest novel, Build a Man! I can't wait to get my copy! What are you waiting for? Check it out! Click HERE. 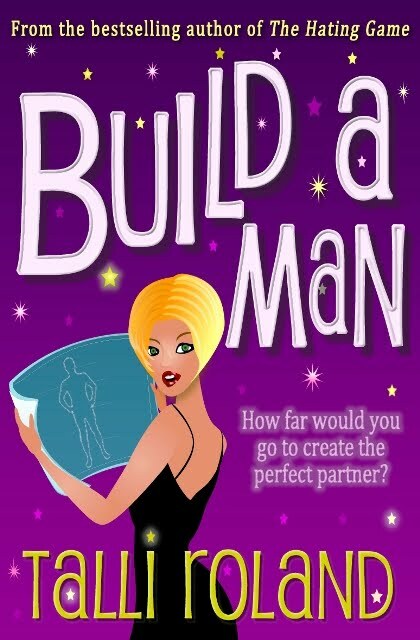 Juicy News 3: Let's not forget to mention that Author India Drummond custom designed the cover for Build a Man! Look at that! How amazing! I'm so impressed! So if you have a book that you'd like custom artwork for - you know who to call. 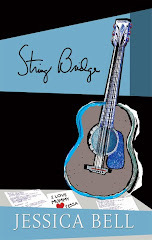 Juicy News 4: Author Jessica Bell's String Bridge, is coming out in November! Woot, Jess!!!! Only a month away! I've read this book and I so loved it. I will be posting a review on this one soon. Yay! Thank you, you thank, and lots and lots of hugs! How lovely to be in a post with Theresa, India and Jess. Great post Len. So many of our wonderful blogging friends requiring major pats on the back, loud claps and popping of bubbly bottles! YAY and Congratulations to all! Thanks for the shout out, Len! Lots of good things going on with Talli and Jessica soon. India has been busy too! I wish them the best of luck. What am I reading? I'm reading the post-humous Shel Silverstein poetry book, The Willoughbys by Lois Lowry, Skulduggery Pleasant 2 by Derek Landy, and The Magician's Elephant by Kate DiCamillo. Len: I just got your beautiful letter/response to my memoir via facebook. I will be writing back to you, tomorrow. I'm too tired today to do much except make a few quick comments. But now knowing about your son, and the fear that we share, I feel that we are kindred spirits, and I won't be losing you again! I think I was following you way back sometime, but...life happens, so I'm bookmarking this blog so I won't lose you again! And like you, I love these wonderful authors! There some of the best out there writing books and music.